Part of CircusFest 2016 at the Roundhouse. Cult French artist Jeanne Mordoj is a formidable contortionist and juggler, a mischievous feminist and former bearded lady. Her mesmerising solo, La Poème, is a joyously strange and personal play that celebrates the fertility, fragility and ferocity of the female body and spirit. With Mordoj’s amazing physical presence, perfectly in control of her body, La Poème is truly inspirational, and imbued with joy and humour. La Poème will be preceded by a 15 minute companion piece La Fresque where, in a meditative state, Mordoj creates huge, vibrant images that celebrate the female form. In recent years circus as a pure art form has been through many transformations. We have seen it colliding with other art forms to spectacular effect, the success of which often boils down to an intense process of collaboration between artists from different disciplines with producers and academics in the mix. Come along to a long table event on 13 April and hear Jeanne Mordoj in conversation with her collaborator and Samuel Beckett specialist Dr Tom Gould (PHD candidate at King’s College French Department) and Richard Mason a Knowledge Exchange Associate from the Cultural Institute at King’s College, London. They will talk about their work together and how the collaboration has inspired new practice for them both. Who better to discuss the hot topic of circus and collaboration? 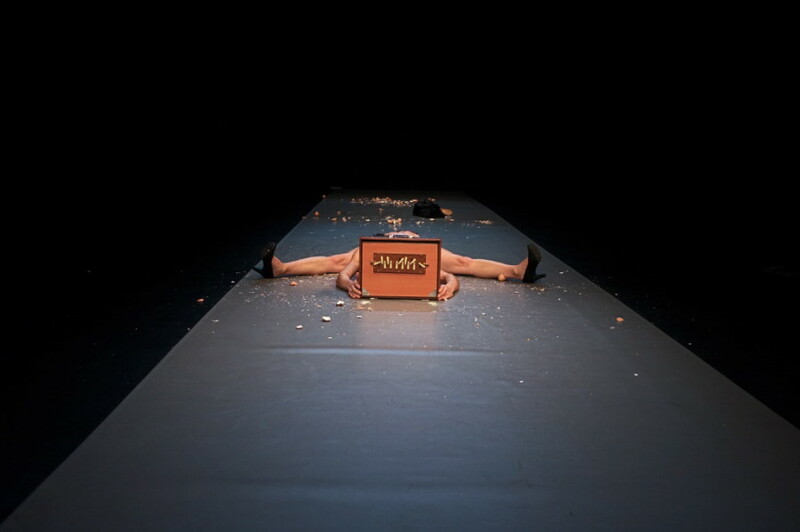 Find out more about Crying Out Loud’s work with Jeanne Mordoj as an Associate Artist.